 Where are you located? o Our exact address is 230 N 12th St. Lincoln, NE 68506. The building previously was home to the famous Spaghetti Works and now is home to a wonderful event venue.  How many people can the Talon Room hold? o Talon Room can accommodate as many as 300 people for a stand-up event and up to 250 people for a sit-down event.  What is the cost to book an event at the Talon Room? o We have a variety of price ranges to fit every budget. 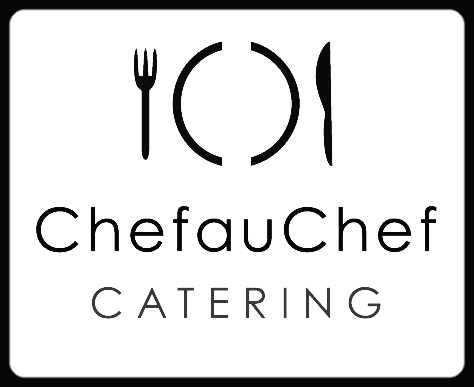 ChefauChef was born as a catering company and we love to cater at the Talon Room. However, we understand if you prefer another certified caterer. Our pricing is based around our catering service for your event, time of week, and the amount of people attending. The very best way to get exact pricing is to call or email our event coordinator, Matt Rogge.  What kind of events can the Talon Room Host? o Great question! We focus on all types of events, including but not limited to: Weddings, Rehearsal Dinners, Fraternity and Sorority Formals/Dinners, High School Proms, Family Reunions, Business Meetings/Parties, Holiday Parties and Birthday Parties. Do you not see your type of event? I’m sure that we can host it, just ask Matt.  What are your hours of operation? o Born in the food industry, we are up early and stay up late. We can host events as early as 7:00 am and as late as 12:00 am Sunday-Saturday. Want to party late? We will stay up with you, however there will be a small fee.  What is the parking situation? o We are conveniently located near 3 parking garages that offer first hour free parking, as well as many off-street parking options.  How do I see your menu for my event? o We have a very broad menu and we are continually trying new things to provide our guests with the best food experience around town. We have a very select list located on our website, www.chefauchef.com, as well as some pictures. However, we want our guests to test our skillset. Would you like us to make it like momma does? Well, sadly, no one cooks like mom, but we would love to try. Bring Chef Aaron your menu ideas and we will do the best we can to make your taste-buds cry tears of joy.  Can you facilitate a wedding ceremony? o This has been a huge question as we have created the Talon Room. We are currently providing brides and grooms with the option to host their ceremony.  Do you provide Decorations? o We currently do not provide decorations, but we do enjoy helping decorate for the event.  Do you provide tables and chairs? o We do have a fantastic set of tables and chairs. However, if you are looking for cocktail tables or large round tables, we will have to rent those. No problem though, we have outstanding relationships with rental companies around town.  Do you have a liquor license? o You bet we do and we are loving every minute of it. Let us create a cocktail of your dreams.  Do you allow outside catering? o We understand if you have a preferred cater and we would love to have them create an outstanding meal for you.  Do you provide sound equipment? How about a projector? o Unfortunately, we do not provide sound equipment or a projector. However, most DJ’s can provide equipment rentals with their service.  Is the Talon Room handicap accessible? o We have a functioning elevator, however due to the age of the building it is rather limited in space. We will do whatever we have to the get all of your guests to your event.  Is there a noise ordinance? o We have a very high noise limit, but we also have neighbors that we respect.  Can we bring our own food or alcohol? o Unfortunately, due to health codes and the liquor commission we do not allow food from non-certified caters or outside liquor.  Have a question that you didn’t see, just ask Matt.